(JTA) – First kites and balloons, and now birds are being used by Palestinians in Gaza to set fires in southern Israel. 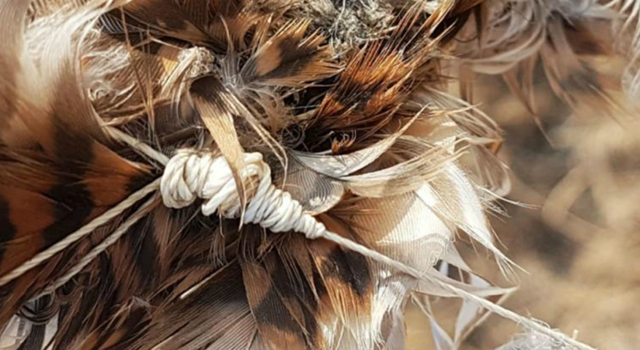 Israel Nature and Parks Authority personnel on Monday afternoon found a common kestrel, a member of the falcon family, hanging from a burned tree wearing a harness to which was attached a wire wrapped around flammable material. The bird was discovered after workers put out a fire that had broken out in Habesor National Park. It is the first time that an animal has been used to ignite fires, according to a statement from the Israel Nature and Parks Authority. At least eight large fires burned in southern Israel near the border with Gaza on Monday, July 16. Meanwhile, on Monday evening, Israel announced it would again close the Kerem Shalom crossing, the only crossing for commercial goods and the main crossing for humanitarian aid between Israel and Gaza, after a rocket was fired into southern Israel earlier in the day despite a ceasefire declared by Hamas late Saturday night. The closure, which cuts off fuel and gas supplies to the coastal strip, will remain in effect until Sunday, the Defense Ministry announced. Food and medicines will continue to be allowed to pass through the crossing to Gaza, but each shipment will require individual approval. At the same time, Egypt announced that it would temporarily close the Rafah crossing with Gaza due to a technical malfunction.